We bet Mr. Franklin would sign up for our Residential Comfort Program. Shouldn’t you? JL Advanced Energy & Construction Ltd. Co. offers excellent and reliable services for repairing, maintaining, and installing air conditioning systems for your home. We also specialized in Home Performance. Our house is a system where many elements merge to provide us comfort within your budget. We can assist you to identify and recommend which elements or actions can be taken to improve your comfort as well as it benefits your wallet. 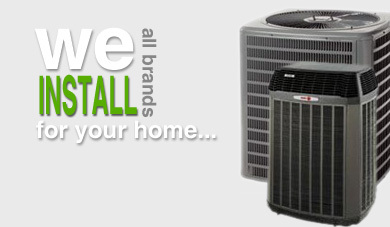 Our target is to provide you with an excellent service and help you to improve your energy consumption. At the same time keep your home comfortable all year round while keeping your air quality at its best. Best of all, we offer products that are aimed to help conserve and protect our enviornment.